We are nearing the end. Deadlocked is the 12th book in the Sookie Stackhouse series. In the 11th book, Dead Reckoning, I had already noticed that all of the character lost their lustre. In Deadlocked this downward spiral is continued. Who even knows what this book is about? The main plot is distracted from so often that it can barely called a conflict. 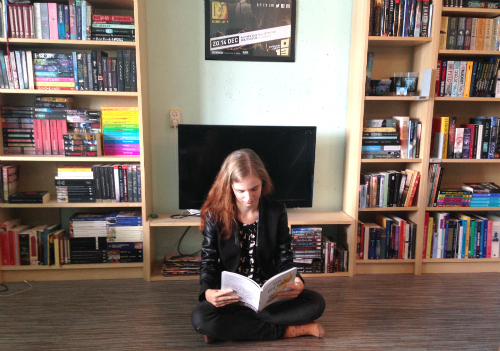 Most page time is dedicated to reconnect with characters from past books. It’s like watching a puppet show, where every five minutes a new puppet is pulled out of a hat, forced to dance around with Sookie-puppet for three minutes, and then return to where they came from. Sookie has become a caricature of herself. Sure, she has never been the smartest bulb in the bunch. But she knew how to take care of herself, and she had a certain amount of wisdom. Sookie’s interior monologue has become ridiculous at this point in the series. I’ve written down a list of quotes with the header “Sookie being an idiot”, and I can tell you, it’s quite a long list. I’ll add some quotes once I find my copy of the book. Writing, in the current society, is never a purely artistic endeavour. In order to get published a certain business sense is required. It’s not shameful to write within a certain genre because a certain genre sells – as long as the story the author is telling is an authentic one. Writers who truly love their characters, can pass that feeling along to their readers. Even though books, in their essence, are only words on paper, writers can convey a feeling of worth through its medium. 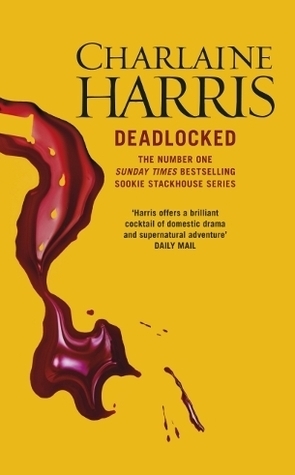 Reading Deadlocked, the only feeling I got was that Harris was bloody sick of Sookie, and wanted to be done with this series so her publisher would be satisfied and she would never have to write her ever again.